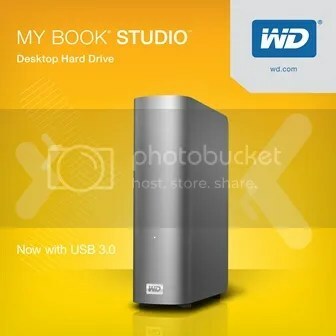 WD, a Western Digital company, and a world leader in external storage and connected life solutions, today announced a new version of the My Book Studio external hard drive. USB 3.0 capability is now extended to this family of My Book Studio hard drives and provides data transfer speeds up to three times faster than USB 2.0. WD has also introduced the addition of a massive 4 TB capacity in a single-drive configuration making it a perfect solution for backing up large amounts of digital content. The My Book Studio drive is designed with a premium aluminum enclosure and will be available in 1 TB, 2 TB, 3 TB and 4 TB capacities. 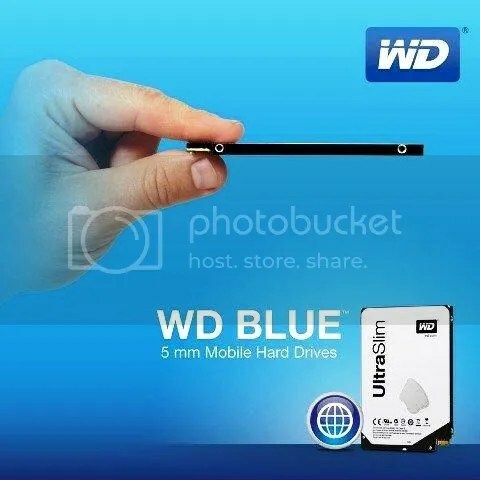 WD, a Western Digital company and a world leader in hard drives, today announced its highest performance, highest capacity desktop hard drive, the WD Black 4 TB, 3.5-inch, 7200 RPM drive. Shipping immediately, the fast performance and ultimate capacity of the award-winning WD Black drives make them perfect for gaming, high-performance desktop systems and workstations. Western Digital, a worldwide storage leader, recently announced the official opening of the service center in the Philippines to further strengthen distribution to end-user support and to provide speedy RMA service assistance. WD’s first service center in the country will cater to all customers of WD internal hard drives, external storage devices and home entertainment products. Located in 2111 Chino Roces avenue corner Urban Avenue, Makati City, WD Service Center will be opened from 8 am to 5 pm on Monday, 8 am to 6 pm Tuesday to Friday, and 8 am to 12 noon on Saturday. The WD Service Center will be closed on Sundays and public holidays. WD®, a world leader in external storage and connected home solutions, introduced powerful new collaboration and file management features, including Dropbox integration, in the next generation of its popular WD 2go mobile app for their personal cloud products, the My Book® Live™, My Book Live Duo and My Net™ N900 Central HD router with storage. WD’s personal cloud products provide shared storage on the home network, letting customers centralize their important documents, photos, videos and music in one place as well as automatically backup all the computers in their home. With the WD 2go app customers can access and share that content from outside the home on their mobile devices. Western Digital, a world’s leader in the design and manufacture of hard drives, recently announced their cooperation with the Metro Manila Development Authority (MMDA) to provide 28 TB of WD AV-GP hard disk drives for an additional storage system for MMDA’s 24×7 operation. One of the most critical services that MMDA offers is the Transport and Traffic Management, under the Traffic and Discipline Office. This division of the MMDA is responsible for overseeing traffic conditions as well as the enforcement of traffic rules and regulations all over Metro Manila. It has installed CCTV cameras over the main roads of Metro Manila to view live video feeds of traffic conditions in order to provide up-to-the-minute traffic advisories to motorists, using social media platforms, such as Twitter and Facebook, as well as through television. 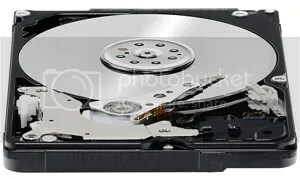 Western Digital has done it again, adding another state-of-the-art drive to its roster of high-performance hard drives. The new WD VelociRaptor® 1 TB hard drive has landed, with the largest capacity 10,000 RPM hard drive on the market today. The WD Velociraptor delivers an unmatched combination of performance, capacity and reliability, which makes it still the undefeated and ultimate drive for power users.